This month, we have great interview with another tech-savvy educator! 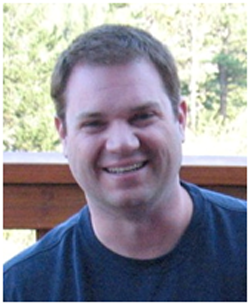 Paul Solarz is a 5th grade teacher who loves to use Voki! Check out Paul’s interview below! Instead of telling people their three statements in person, they record them on a Voki. They embed their Vokis on their ePortfolio. Some add a poll to capture students’ votes, and everyone reflects on the experience. When students have time, they listen to their friends’ Vokis and type their guess as to which one was the lie in the comments section of the ePortfolio. Link to an example. I also had my students create a Voki that introduced their Revolutionary War persona to the class. We all transported back to 1763 and ended up in Boston. Since we had no food, shelter, or clean clothes, we had to find apprenticeships and start working. Each of us became a new person with the same first name, but our last name was now our profession. I asked students to predict why they thought they were transported back in time, and what they hoped to learn while there. All of this was done on a Voki. Link to an example. My students can all log into one account at the same time. An automatic saving feature so students don’t lose their work if they have to stop early or if we lose our wireless connection. Improve (or clarify what we’re doing wrong) the voice recording feature – it only works for us some of the time.